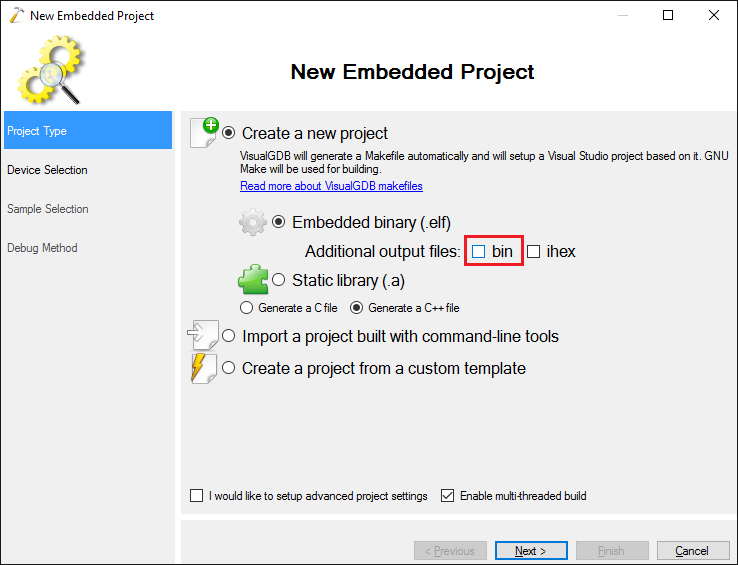 This tutorial shows how to add support for an external off-chip memory, such as a NOR FLASH to a VisualGDB Embedded Project, place some code and data into it and configure VisualGDB to program it automatically. 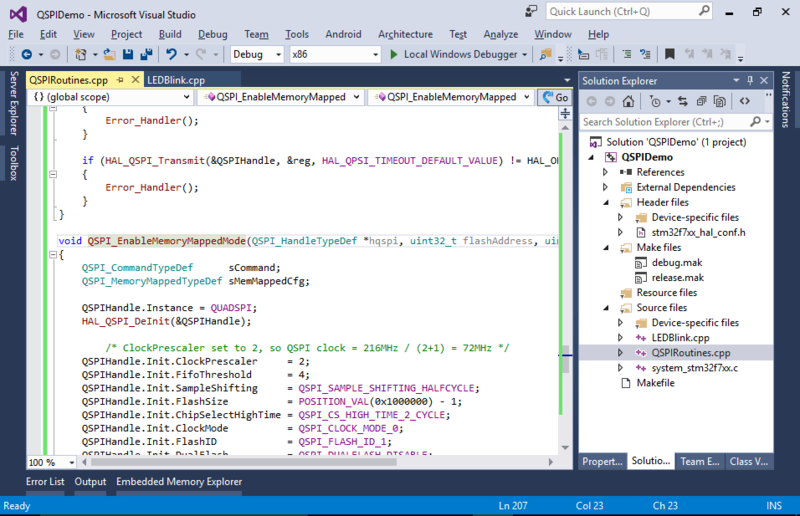 In this example we will use the QSPI memory on the STM32F7-Discovery board. 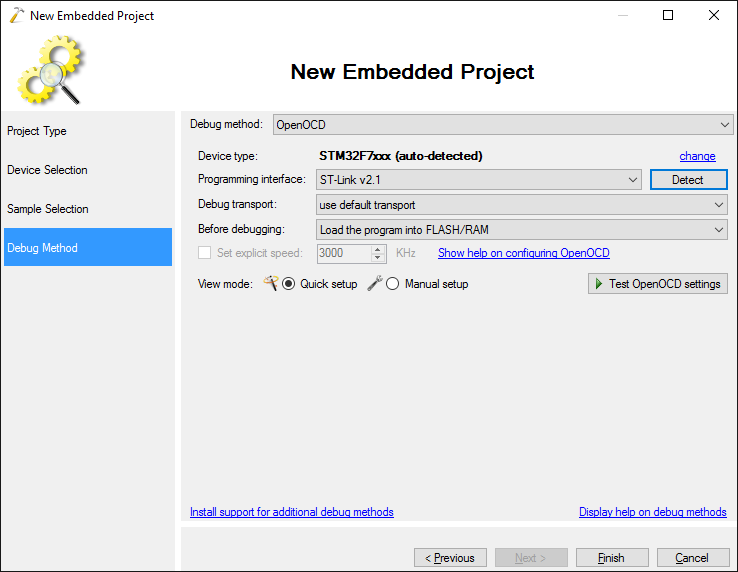 We will map it to the microcontroller’s address space and show how to offload some code and data there to reduce the utilization of the on-chip FLASH memory. 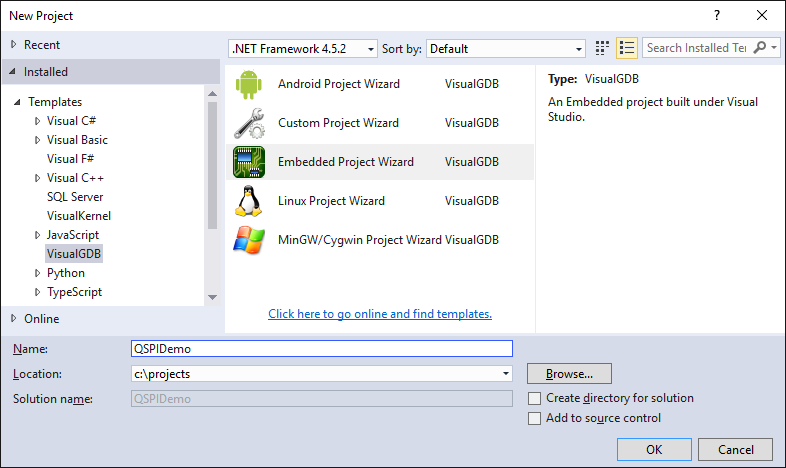 Click “Finish” to generate the basic project. 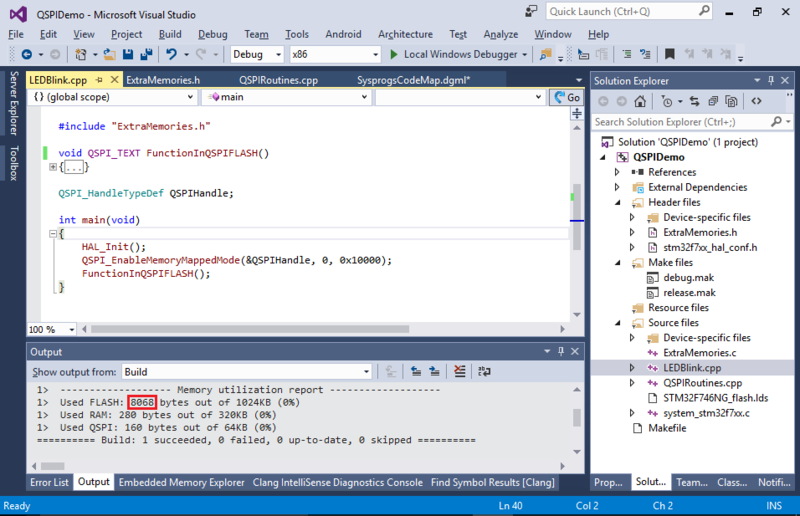 Then add the QSPI FLASH driver file (QSPIRoutines.cpp) to your project. 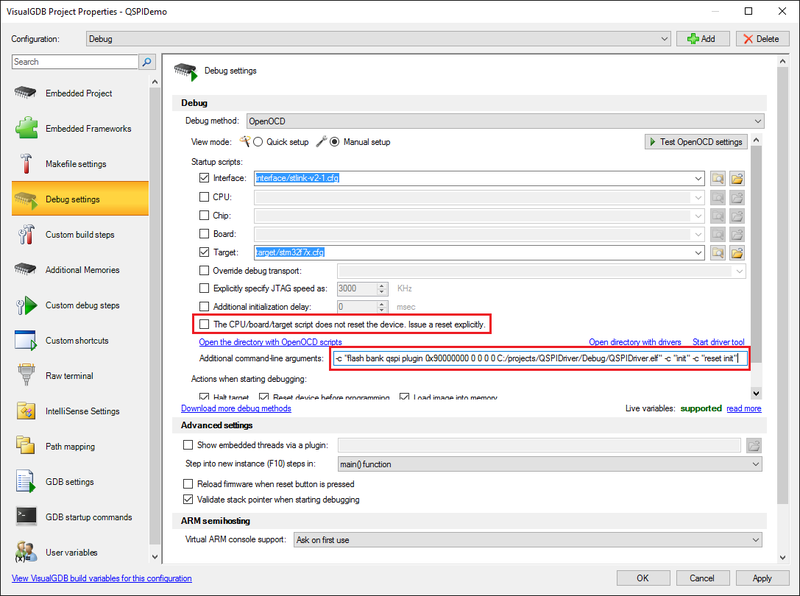 Note that we have NOT placed the function to the QSPI FLASH yet, so the function will reside in normal FLASH memory. 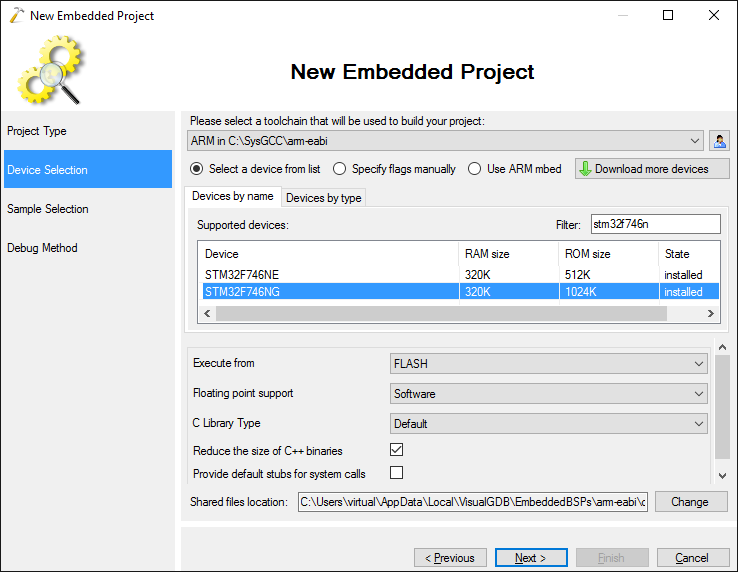 Build the project and note the FLASH memory utilization. 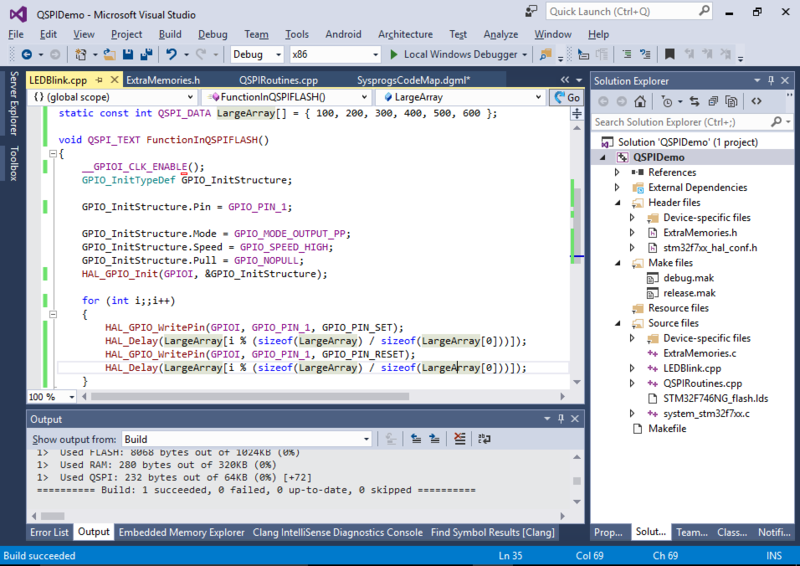 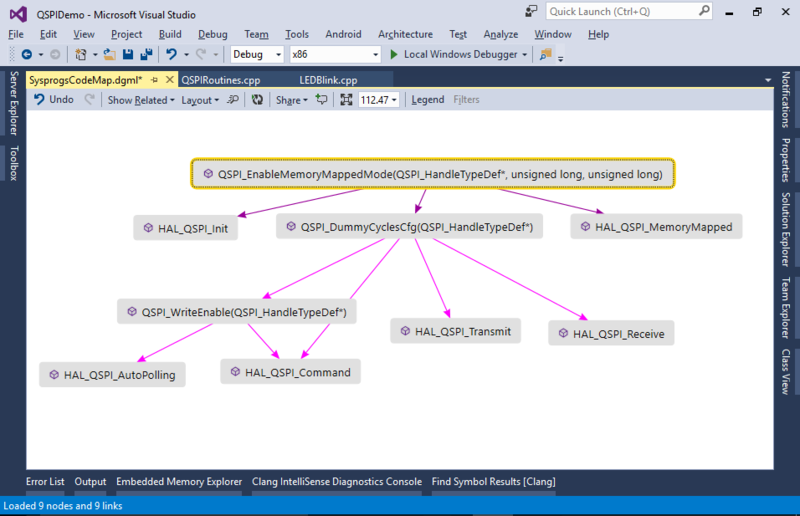 Now we will actually configure the project to use the QSPI memory. 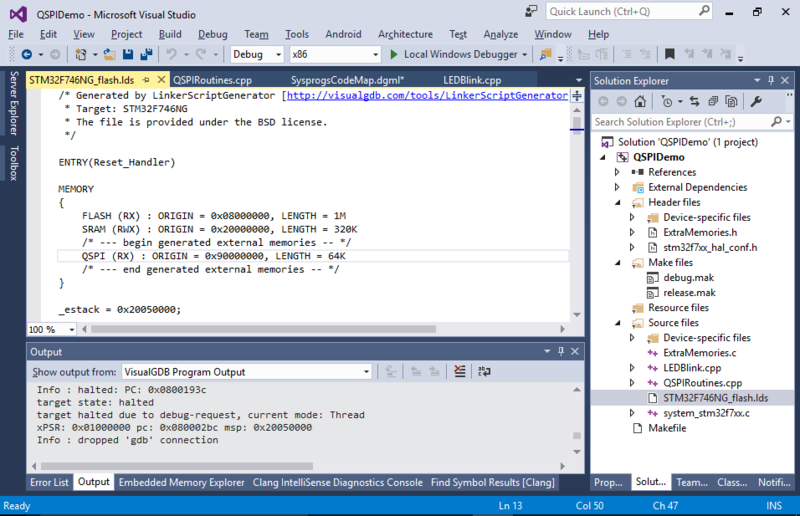 Open VisualGDB Project Properties and go to the Additional Memories page. 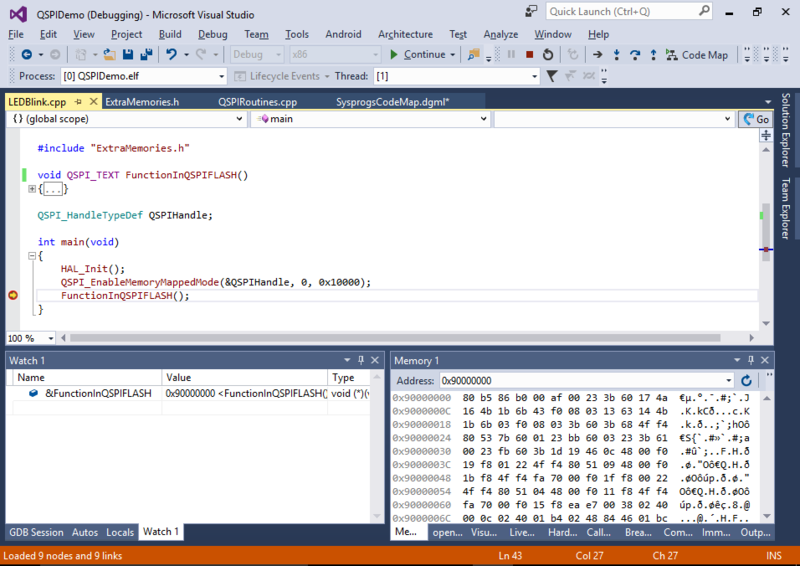 Add a new memory called QSPI at address 0x90000000. 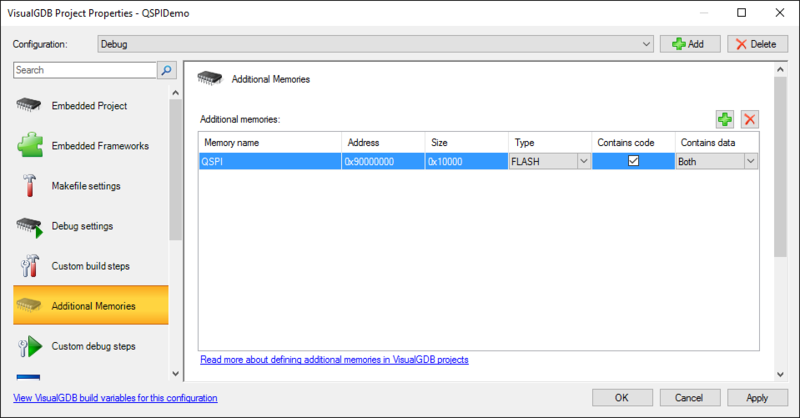 In this example we will limit the memory size to 64K (0x10000), however you can specify the actual QSPI FLASH chip size as well: Note that the “Additional Memories” feature is supported on VisualGDB Custom Edition and higher. 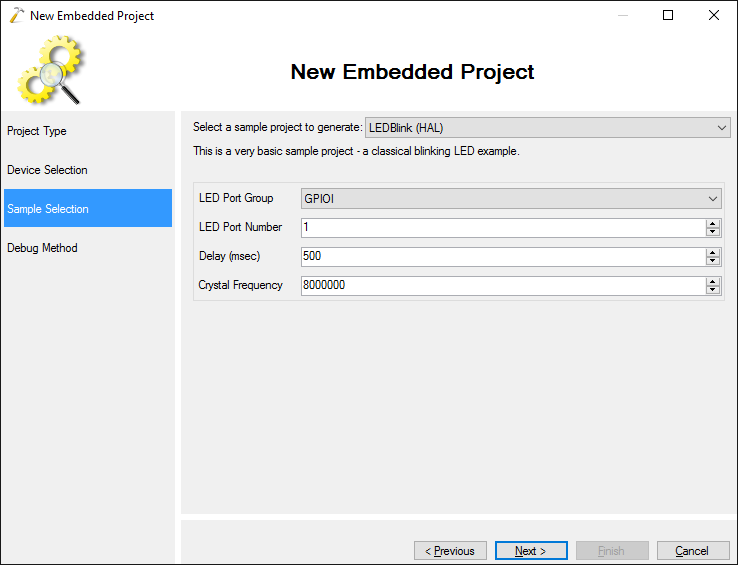 If you continue running your program now, you should see the LED blinking just as it did before you moved the function to QSPI FLASH. 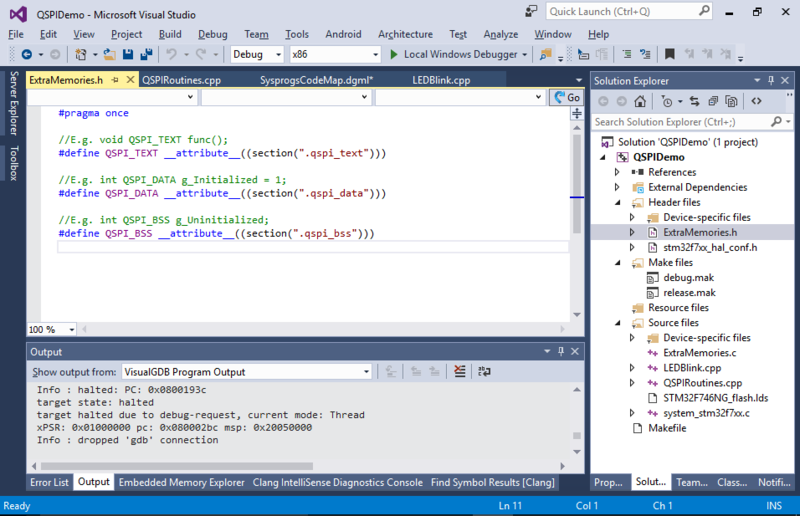 Note that due to the limitations of the STM32 memory mapping logic you may not be able to set breakpoints in the code running from QSPI FLASH. 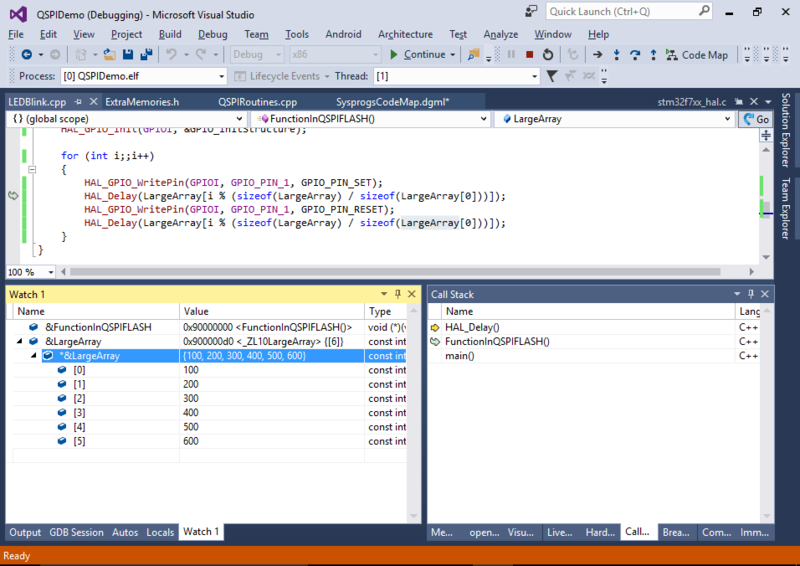 Stepping through it and viewing local variables should work however. 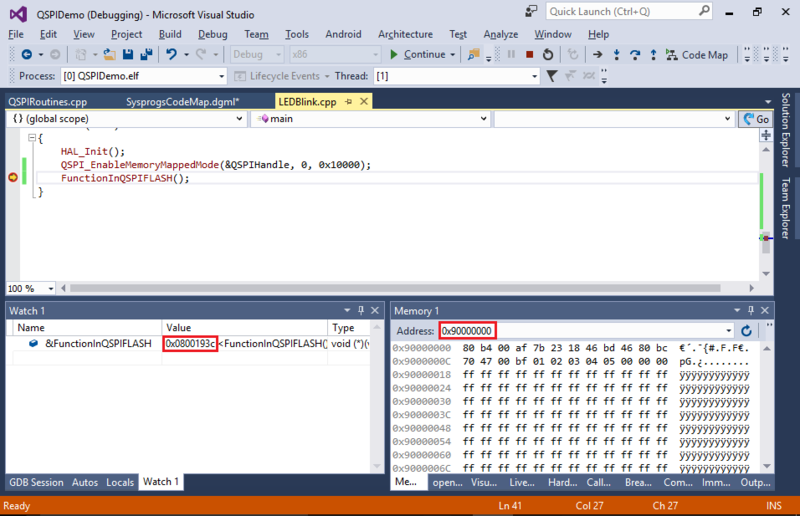 If you cannot step into a function in the QSPI FLASH, try switching to the Disassembly view and stepping one instruction at a time. 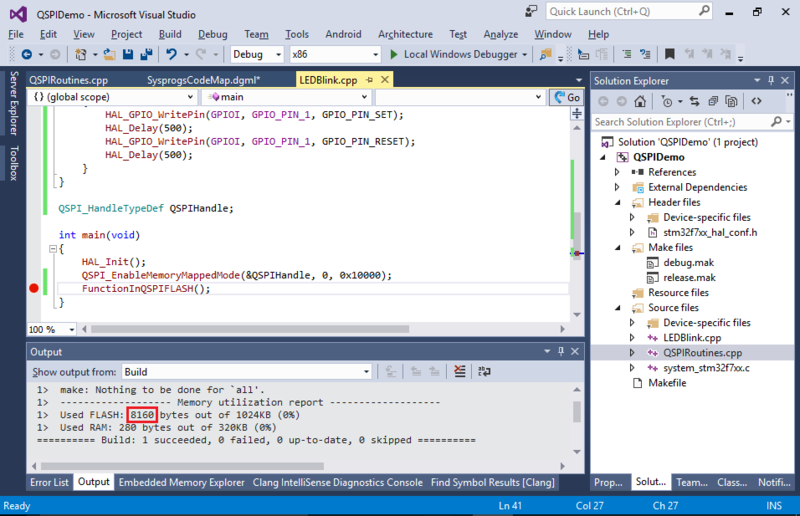 Build your program and observe how the QSPI utilization has increased while the FLASH and RAM utilizations were unchanged.